Product prices and availability are accurate as of 2019-04-11 22:39:36 UTC and are subject to change. Any price and availability information displayed on http://www.amazon.com/ at the time of purchase will apply to the purchase of this product. 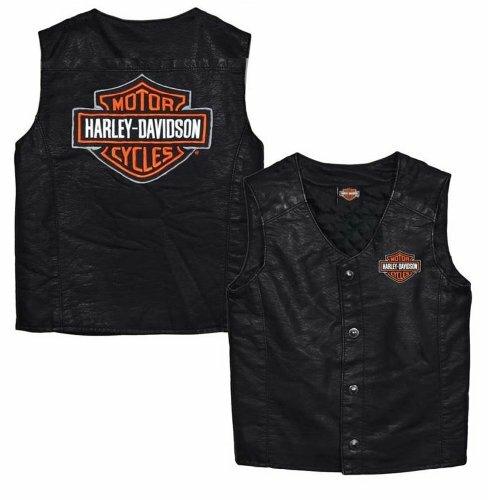 Harley-Davidson Little Boy's PU Pleather Biker Vest. 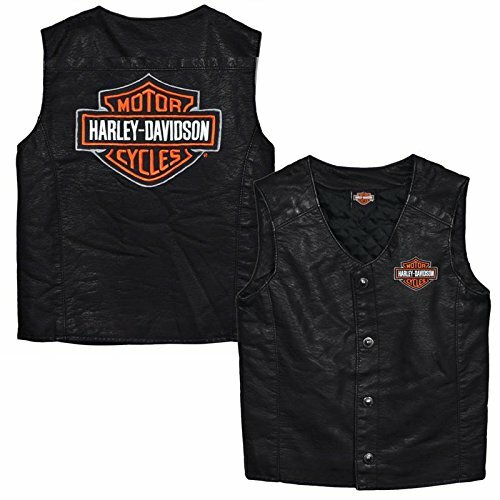 Black Pleather. Woven Bar & Shield logo on front and back. Made of softhand pleather. 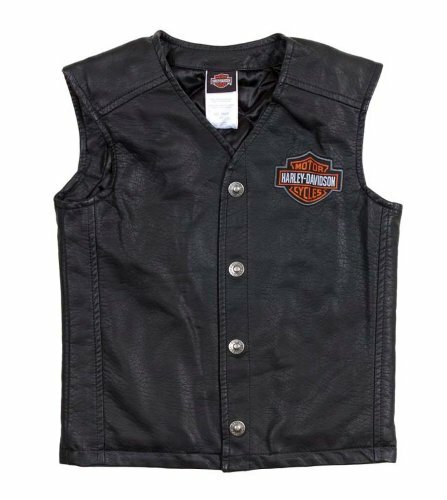 Boy's Youth PU Biker Vest Made of softhand pleather Woven Bar & Shield Logos on front and back Black Perfect gift for your little man!